RAVEN CLINCHER is characterized by the newly developed semi-aero aluminum rim. 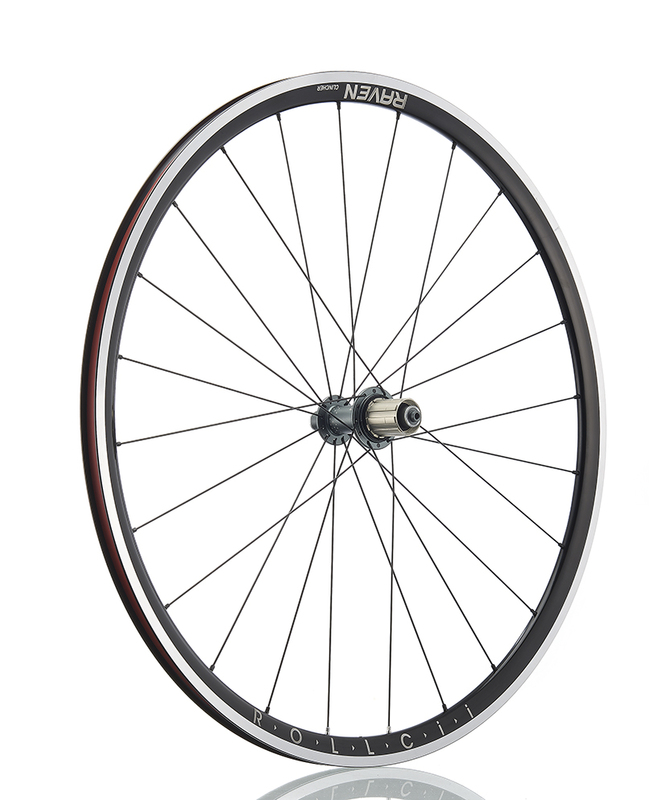 The use of the latest refining material and rim sleeved technology makes the whole wheel lighter and stiffer. Thanks to the 23mm-wide rim, the advantage can be felt immediately while taking corners. The rear hub uses the proven 3 pawls design to reduce weight and still remain great engagement speed. RAVEN CLINCHER is a wheel that excels on any terrain, transfers every bit of force into forward momentum and takes every corner with precision.